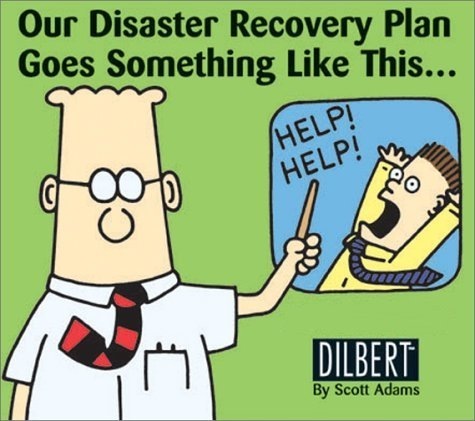 Almost every time I'm discussing with someone (individuals, students,...) about importance of good backups, disaster recovery procedures and of course tested procedures for disaster recovery (make sure that you actually test your backups, disaster recovery procedures on regular basis) I ask a question: "If your location goes down because of natural disaster, fire,..., are you able to rebuild your whole location or infrastructure (in the case of single location) from offsite backups?" I'm really worried about that just to many people don't take backups seriously enough until it's to late. 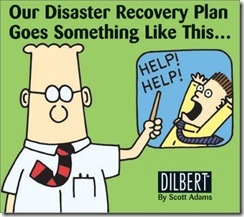 In most cases disaster recovery goes like Dilbert's one.